This single-coil pickup set from legendary manufacturer, Seymour Duncan, boasts fat, punchy sound and powerful coil winding for great sustain. 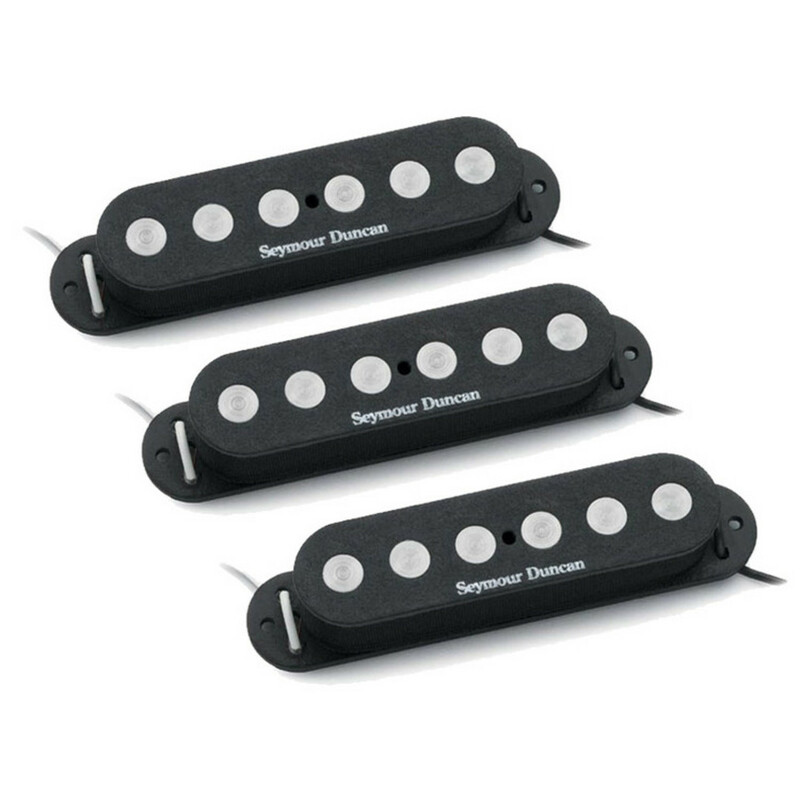 The Seymour Duncan SSL-4 Quarter Pound Flat Strat Calibrated set consists of high output true single-coil pickups. It is recommended for blues, garage, classic rock, heavy rock, classic metal and nu-metal. The SSL-4 Quarter Pound Flat Strat Pickup Calibrated Set boasts twice the power of a traditional single-coil; it produces fat, punchy sound like a P-90. The hand polished, quarter-inch diameter magnets are matched with a powerful coil winding to provide great sustain. These pickups are designed for acoustically balanced Strat®s and works especially well with rosewood fingerboards.